Choosing the food we eat is just one of the many ways to live a healthy lifestyle. Once you have established a routine, that's when you realize it's possible and you would not want to eat junk anymore. 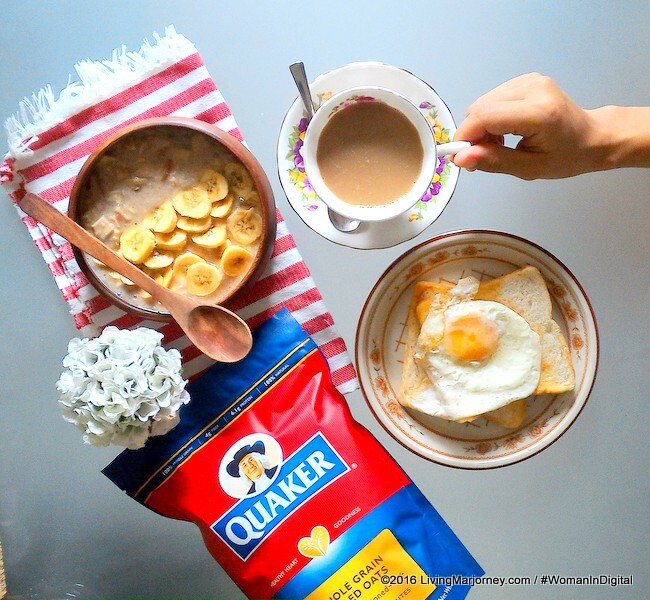 Let's start with the right, healthy breakfast with one of nature's ultimate supergrains such as Quaker Oatmeals. 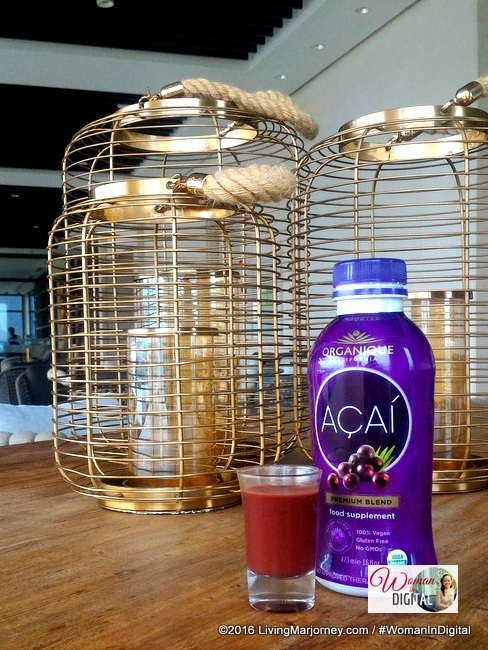 My usual breakfast consists of oatmeals, toast bread, organic jam and a shot of Organique acai. I like making toast bread served with sunny side up egg. 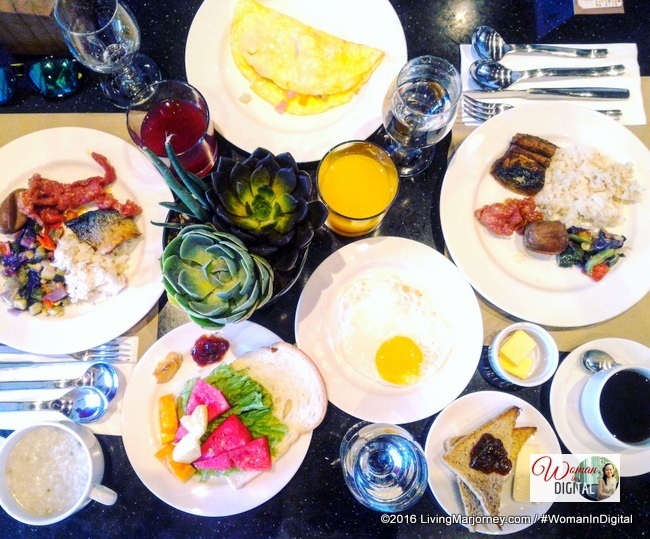 Even if you're too busy or tired from work, there's no excuse not to have a healthy breakfast. Quaker oatmeal is easy to prepare. All you need is hot water, milk and your choice of fruit which is optional. It comes in different variants like banana bites, fruits and nuts and whole grain. 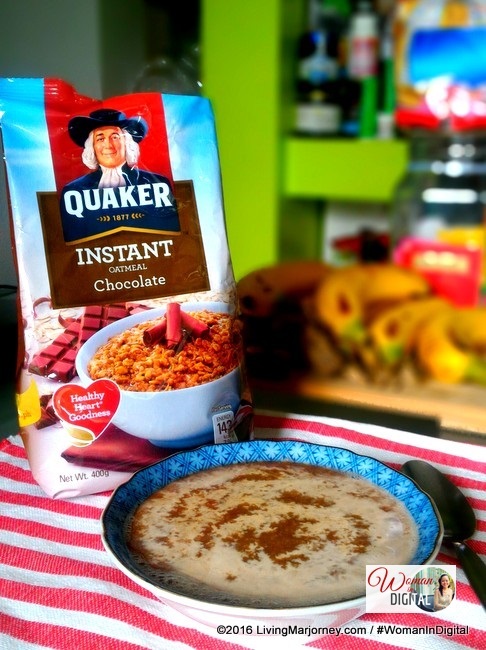 For cold and rainy days, Quaker instant oatmeal chocolate is my favorite. 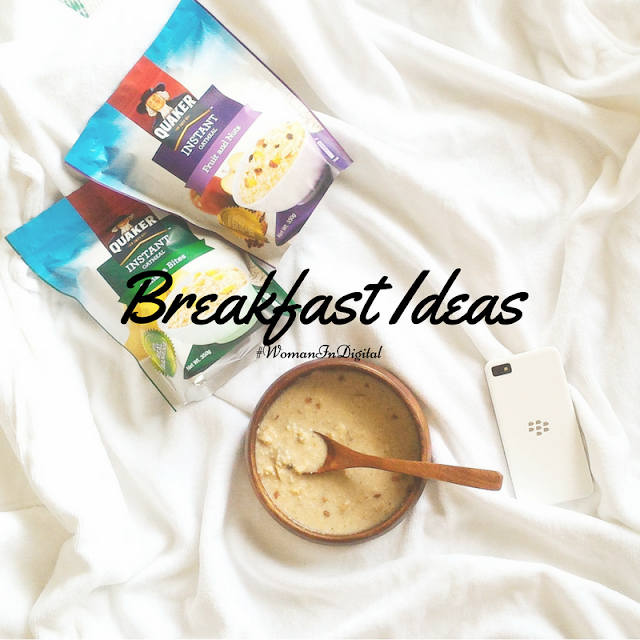 A bowl of oats every morning actually helps provide valuable nutrients that are needed daily by the human body, making it out to be one of the world's most popular staples. Quaker oats is rich in fiber thus helps keep digestive system clean. It's also packed with B vitamins and minerals so you know you're meeting the daily nutritional needs. I need Quaker oats because it is a good source of protein, which aids in building tissue. While carbohydrates provides the energy we need to battle stress. Just a bowl of Quaker oats and I'm ready full so it helps me stay out of consuming unhealthy snacks in the mid morning.